Amid the chaos of the ongoing government shutdown and winter holidays, critics on Monday are calling out the Trump administration for quietly moving to make it harder for the public to find out what goes on behind closed doors at the U.S. Department of the Interior. “They are depriving the American people of their right to know what the government is doing—they are only going to cause themselves more fights and more litigation,” Nada Culver, senior counsel at The Wilderness Society, told The Hill. 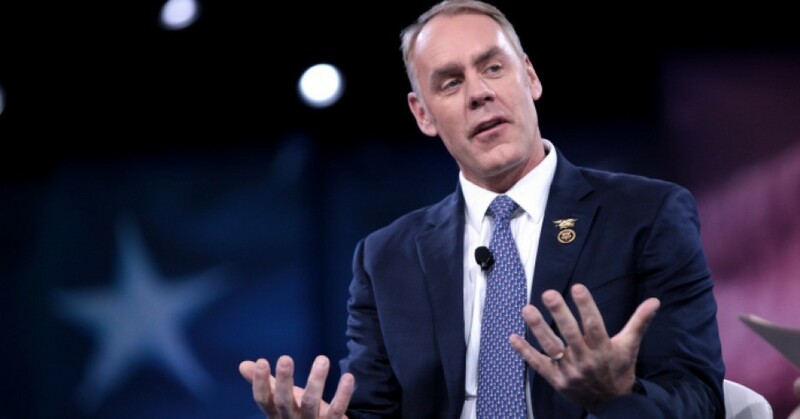 Outgoing Interior Secretary Ryan Zinke—who announced his resignation earlier this month while facing multiple ethics investigations—and other officials have complained about, as the filing put it, “the unprecedented surge in FOIA requests and litigation” that the agency has been fielding. Critics, meanwhile, charge that the influx is the result of the department’s operations in the Trump era. The rule was signed by the Interior Department’s principal deputy solicitor, Daniel Jorjani—a former adviser to the Koch Brothers, who are infamous for using their fossil fuel fortune to bankroll corporate-friendly Republican politicians through their sprawling dark money network. Zinke gave Jorjani the authority (pdf) to oversee all of the agency’s FOIA requests last month. Since the proposal has been published in the Federal Register, the public has until Jan. 28, 2019 to comment on the rule. If it is implemented as written, it will likely face multiple legal challenges. Although Zinke is leaving the agency, his deputy—ex-lobbyist and “walking conflict of interest”David Bernhardt—is expected to take over and continue the legacy of his predecessor. This entry was posted in Civil Rights, Climate Change & Environmental Issues, Corruption, Economics, Energy, Government, Media Issues, Mining, Social Justice, Uncategorized and tagged Atrocities, Big Oil, Capitalism, Civil Rights, Climate Change, Corruption, Department of the Interior, deregulation, Donald Trump, Economics, Energy, Environment, EPA, Freedom of Information Act, Media Issues, Public Employees for Environmental Responsibility, Ryan Zinke, social justice, transparency, WildEarth on January 1, 2019 by ew.